The diving is typical Indo-Pacific diving: a mix of everything. Moderate visibility (10-15m typically, worse on bad days, 20-25m on good days) and excellent variety – ranging from lots and lots of macro, to Big Stuff (barracudas, sharks, groupers and occasional mantas). The highlight of the Neil area is the family of dugongs that lives in the region and often can be seen just outside in the house reef. In addition, there are 2 things that distinguish Neil diving from Havelock – one, the lack of mangroves nearby means that the water typically tends to be bluer/clearer even on low-vis days and second, the drop-off of the Andaman shelf is fairly close by, so there is an even greater potential for Big Fish Action, something we are investigating. The flip side is, Neil sites are not as sheltered as Havelock, and so access to the sites is more weather dependent. We knew that diving in the Andamans had changed when we discovered Johnny’s Gorge & Dixon’s Pinnacle off Havelock – we have a feeling that we explore Neil further, it will take the diving in the Andamans yet another step forwards. Are you interested in trying diving but do not have the time or desire to take a certification course? Or maybe you are not sure if this whole diving this is for you? Consider the Discover Scuba Diving experience. Contrary to popular belief, you don’t have to be an expert swimmer, a Navy SEAL or a triathlete to dive. For those interested in learning to dive, we offer \ Open Water Course (Takes 4-5 Days). 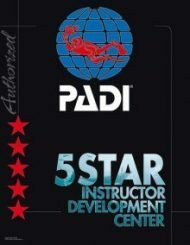 On completion, you receive a certification card from PADI, NAUI or SSI. For certified divers, we have a VERY exciting array of options – the biggest choice of courses in Asia. We offer the Advanced Open Water course, Rescue Diver Course and many more speciality courses to increase your skill base in a particular area of interest. For certified divers, we run daily 2-tank trips out to the best sites in the area, in both Neil and Havelock. On our 7m speedboat, we run day trips to the best dive sites some of which are only accessible otherwise by Liveaboard! The best way to get better at diving is to DIVE MORE!